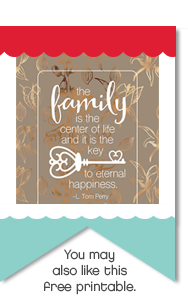 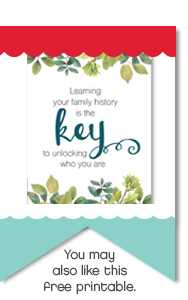 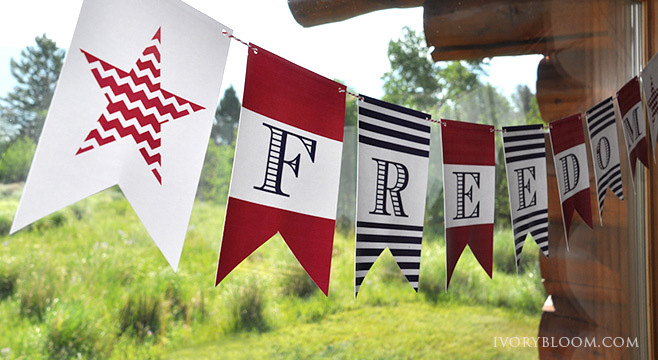 Add a personal touch to your next picnic or BBQ with these fun tags and flags. 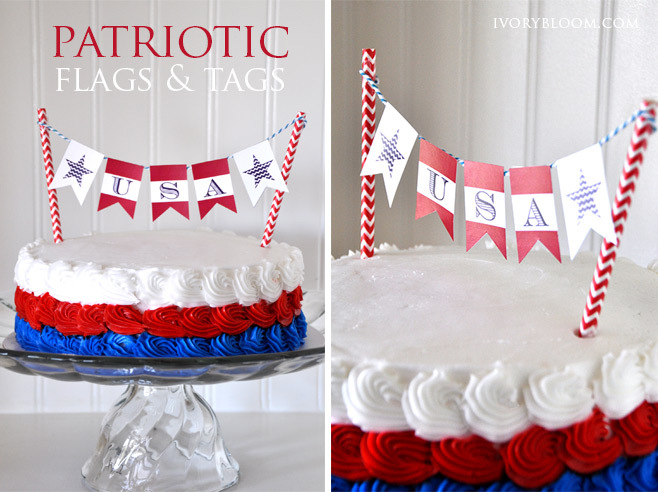 Build a custom banner in red, white and blue to add color to cakes and cupcakes. 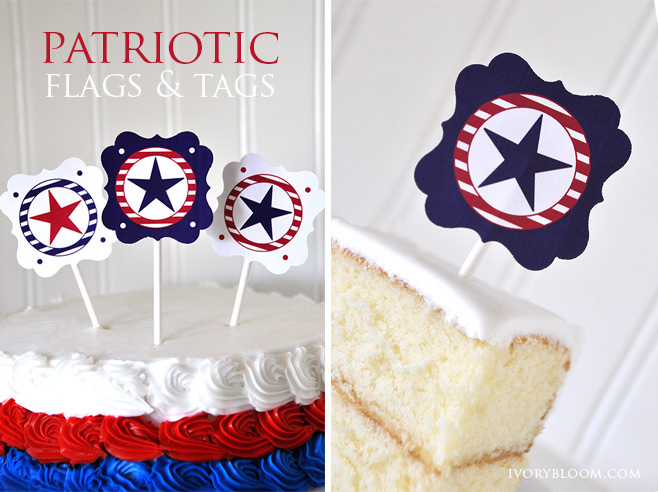 Fun patriotic toppers and flags. 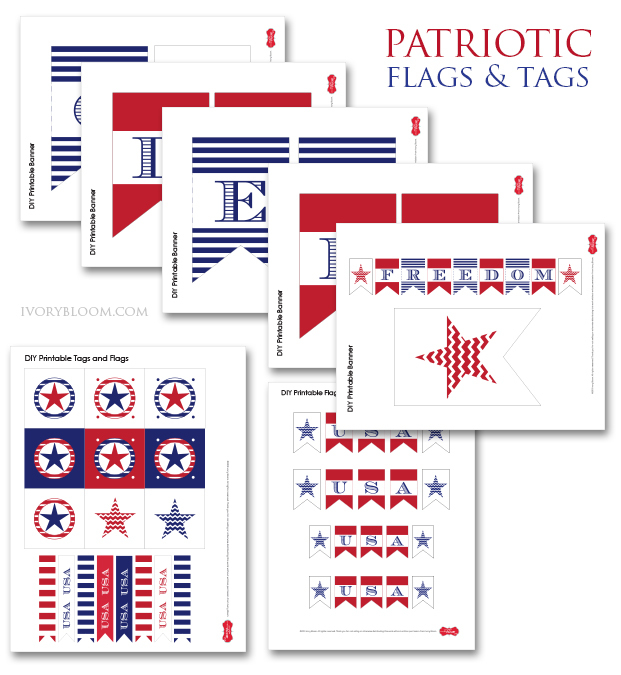 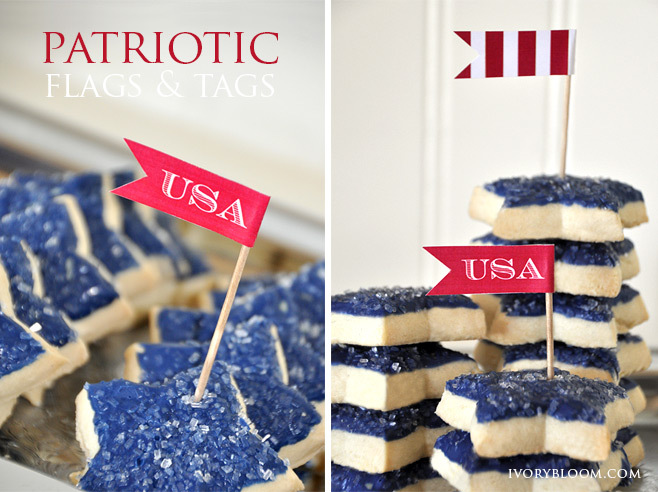 Download your FREE patriotic tags and flags PDF!